Archiving & printing are at your finger tips! 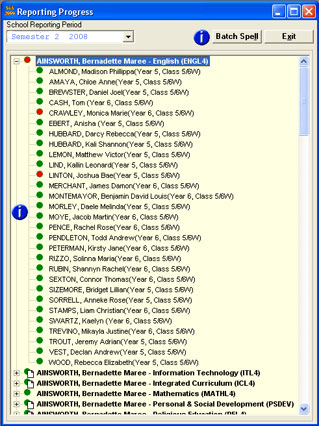 For schools already using First Class for timetabling, there is an electronic transfer of all class lists. The teacher interface is simple, intuitive, easy to learn and use. Only the options that have been configured by the administrator, using Reporter Pro security settings, are made available to the teacher. Move your mouse cursor over the areas marked with an for more information. The following Subject Assessment page shows all students for assessment by a teacher for the selected subject. 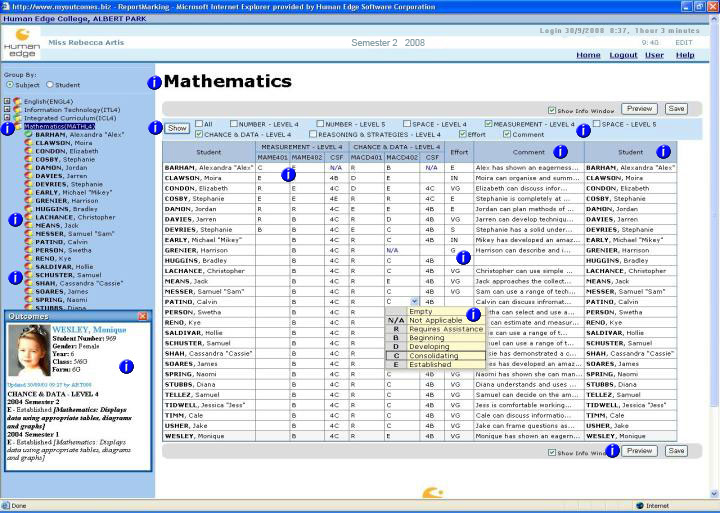 The example shows a mark book grid list of all students both down the left and right hand side of the screen for convenience. It can be seen that marking has commenced for the two strands of Measurement and Chance & Data. The school had chosen to include an Effort rating on this subject along with teacher comments. Move your mouse cursor over the areas marked with a for more information. When only the comment option is selected, a complete view of all the student comments is made available for easy review. Changes can be made at anytime within this window. Reporter Pro contain a number of innovative and interesting features to facilitate the assessment process. 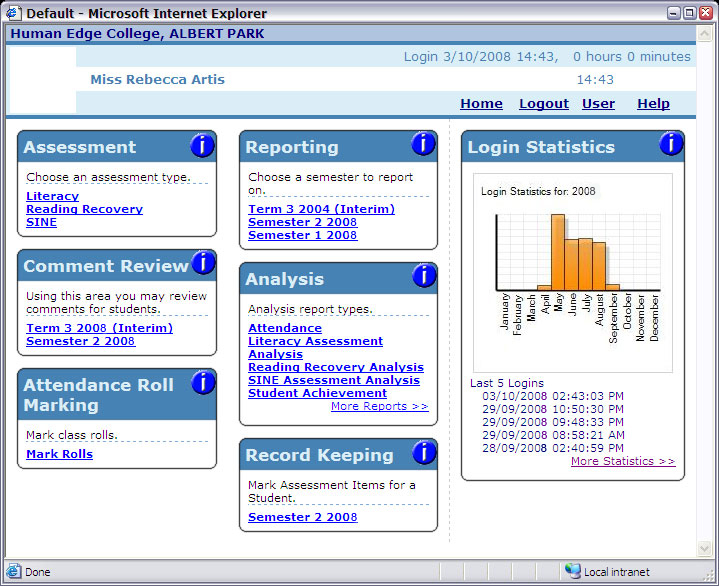 With the same Web interface, teachers are able to mark the roll on a period by period basis. This could be simply an AM/PM concept or a full timetable structure. 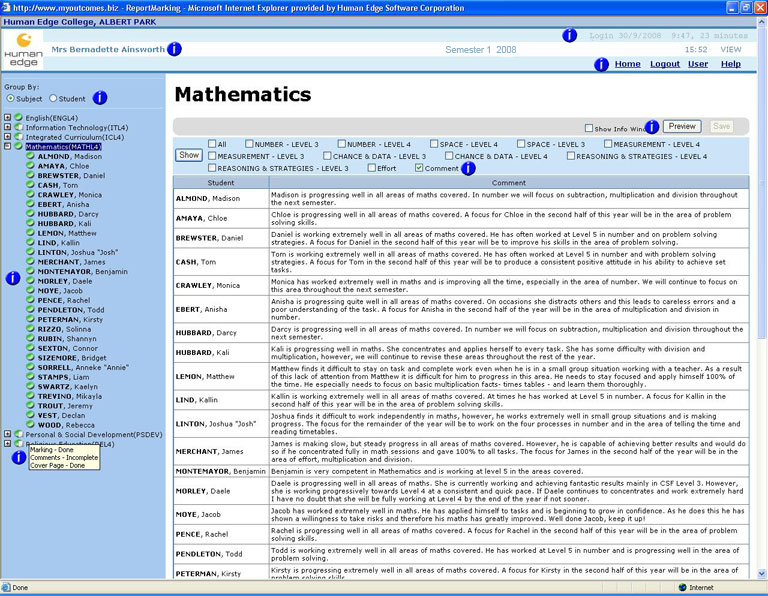 Teachers are able to record their own phrases or student profiles to simplify and reduce the comment writing process. Administrators are able to see the status of the complete process at a glance.